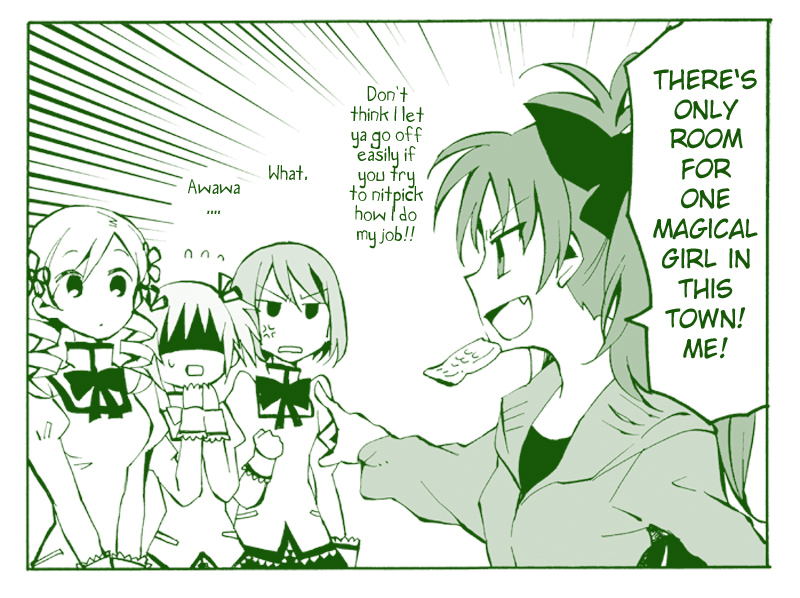 Posted on June 6, 2013 by Lena K.
This time you’ll find some Touhou (Mokou x Keine) short strips and a short Mahou Shoujo Madoka Magica doujin. All of them are done by the same artist, Vivit Gray. This entry was posted in Doujin, Download, Yuri and tagged Mahou Shoujo Madoka Magica, Touhou, Vivit Gray by Lena K.. Bookmark the permalink. Thank you for the round of manga! 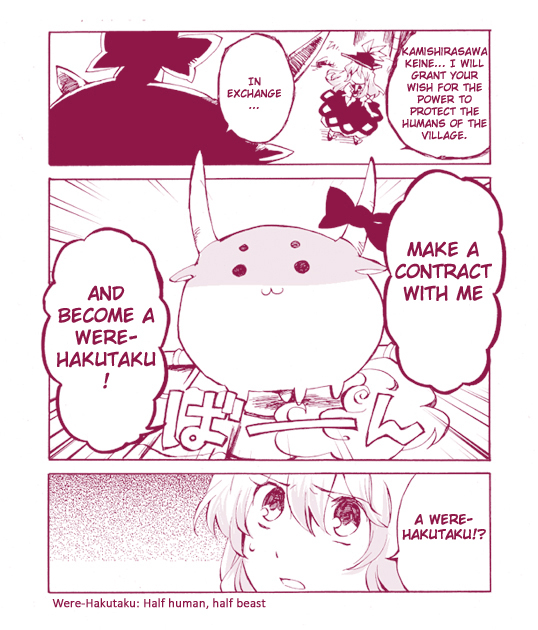 It was my first time reading anything from the artist (because I don't usually read Mokou x Keine) and I enjoyed it. where do you get your Translations from? Hm I wonder why you don't like Mokou x Keine, they are so cute together, especially in all of Vivit Gray's stories. Click at your own risk, there's adult pictures everywhere. I can honestly admit that I never really gave them a shot. The first doujinshi with Mokou in a central role that I read were MokouxKaguya and I liked the concept of it. Two rival souls who are destined to outlive everyone else they love until only they remain. They are their only constant, and they would have to face the truth that they will eventually be the only one left, the only one to understand them. So obviously MokouxKeine just became the “other ship”. That ship that I'd see all the time teasing Mokou's involvement but didn't involve Kaguya at all. Danbooru. ok, Cool I'll go check it out. I always thought Eirin is an immortal too since she's the one who made the hourai elixir. So I prefer Eirin x Kaguya but that's no surprise since I can't see how a relationship in which the two “lovers” try to kill each other on a daily basis can be a healthy relationship in the first place. Even though I have to admit, I've already read some pretty nice Kaguys x Mokou doujinshi as well.